The Surface headphones are an excellent first attempt from Microsoft and sound better than most headphones on the market. 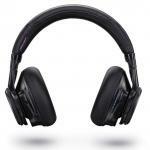 They offer impressive audio quality, convenient control and comfort but are slightly overpriced. Microsoft is on a roll at the moment. 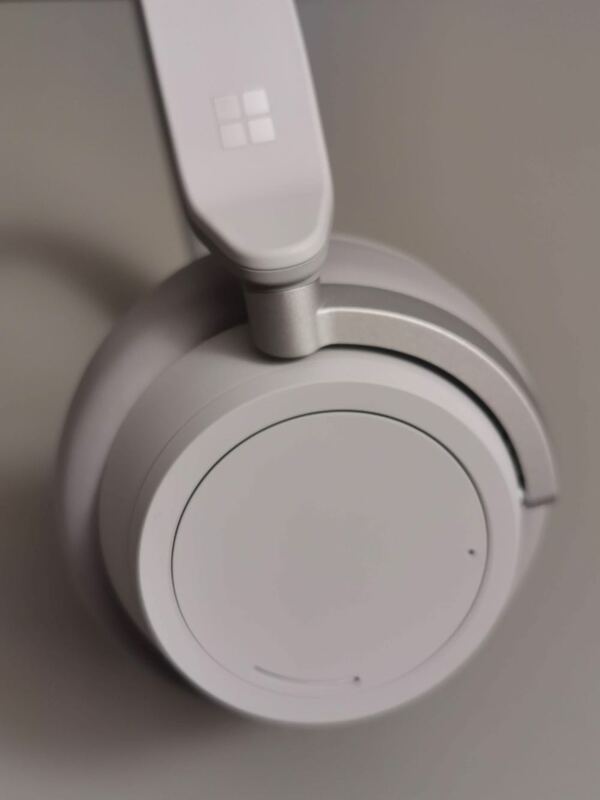 It’s enjoyed great success with the Surface Pro and the Surface Book and now it has released its latest product – the Surface Headphones. 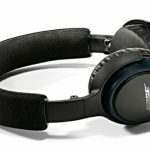 These noise-cancelling headphones have been released to go up against the best of Beats, Sony and Bose and they mostly hold their own. 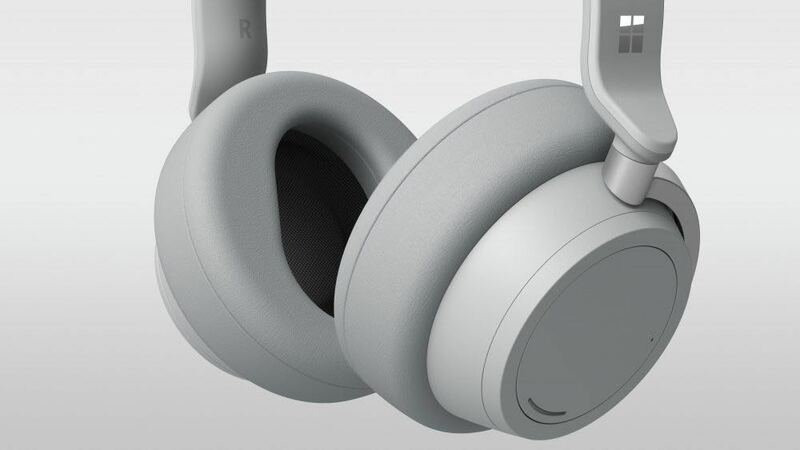 The Surface products are high quality and the Surface headphones fit that mould as well. They’re nicely designed and offer a comfortable fit for hours of listening. 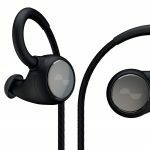 The headphones have swivelling earcups that are wrapped in soft sumptuous leather so they not only sit comfortably, they also block out a lot of the outside noise as soon as you put them on. But we would have liked a little more padding on the headband for that little bit of added comfort. 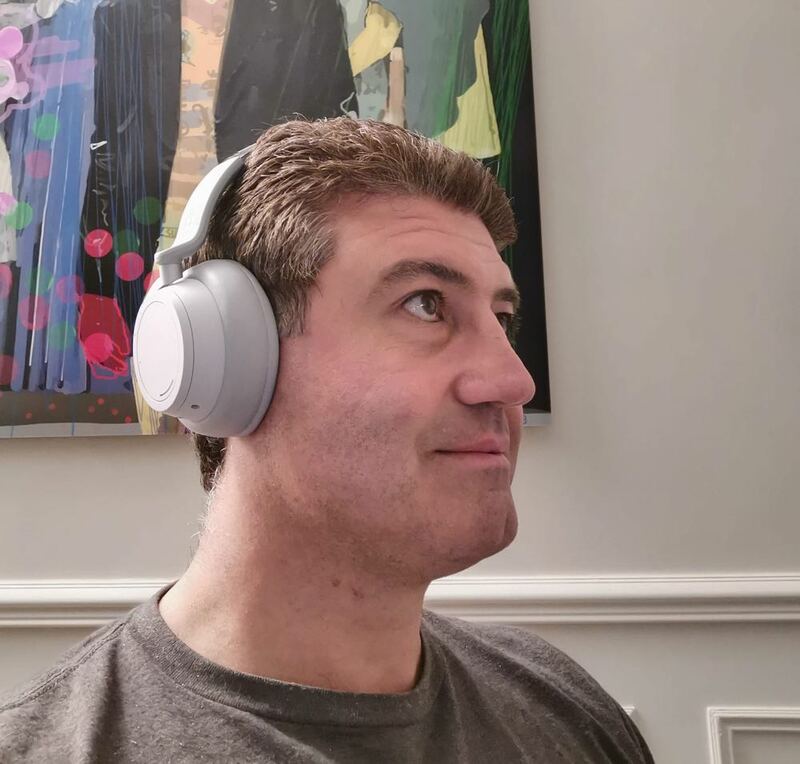 I’ve got a big head so getting a good comfortable fit with a pair of headphones is a great start and that’s exactly what we got the with the Microsoft Surface headphones. Pairing the headphones was a breeze. 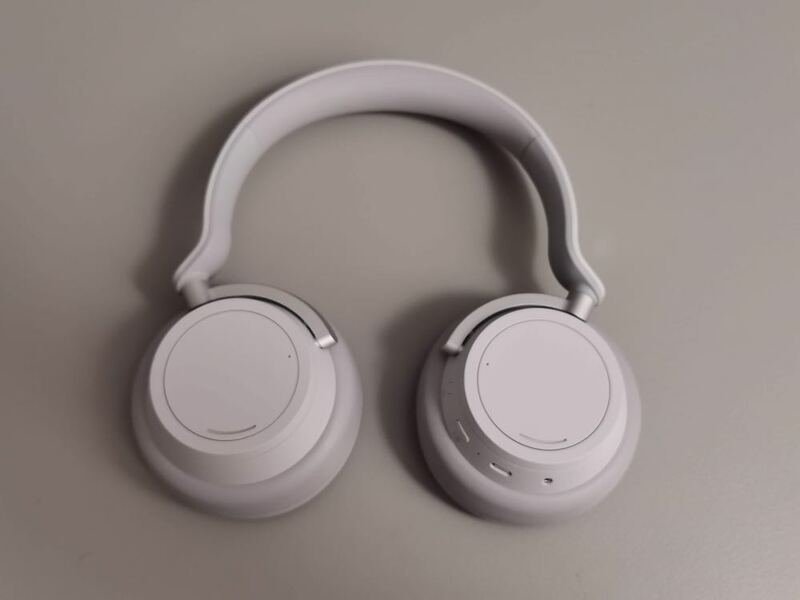 Wireless connectivity is right in Microsoft’s wheelhouse and these headphones were easy to connect to an iPhone, Android phones as well as tablets, laptops and computers. Bluetooth range was also exceptional as well. 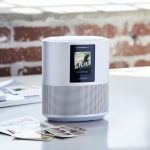 We were able to hear music from our Samsung Galaxy S10+ on the Surface headphones from the other side of the house – a distance of about 15m without missing a beat. 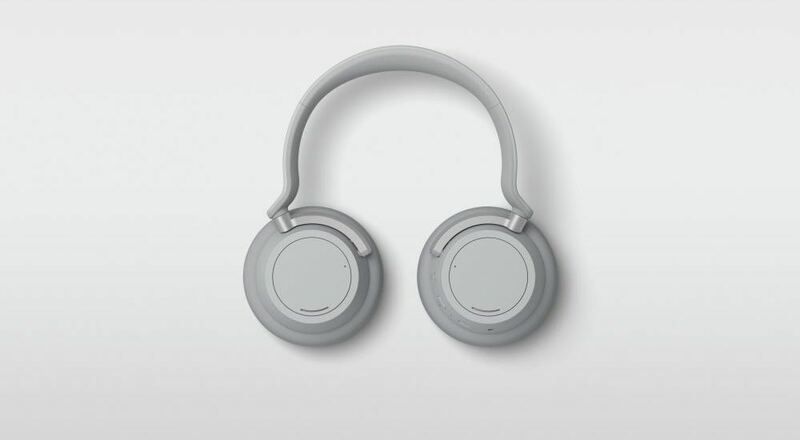 One of the strengths of the Surface headphones are the controls which are located on either ear cup. And you don’t need to feel for buttons and switches on the ear cups like you would with other earphones. 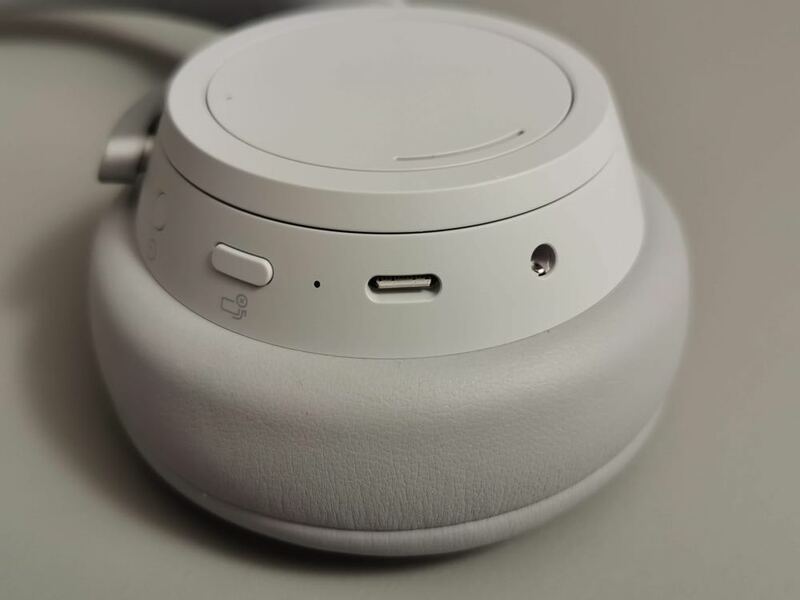 Microsoft’s Surface headphones have dials on each ear cup – the left is to adjust the level of noise cancellation and the right is to adjust the volume. Reducing noise cancellation is only effective when your music is paused or off and rather the taking off the earphones you can dial down the noise cancellation to hear someone talking to you or the announcement of your flight. And when turned down, ambient noises are actually amplified so you can hear even better. At maximum, the noise cancellation of the headphone is among the best we’ve heard. It blocked out virtually everything and left us with the sound of silence or allowed us to hear every note of our music or every line in the movie. And adjusting so quickly and easily was also a masterstroke and also meant we didn’t need to touch our device. Navigating your music and also answering and ending calls can be done with taps on either earcup. But the most important question is: how do they sound? The 40mm drivers certainly show their authority and the music has a nice warmth. There’s an impressive amount of detail but it lacks the crispness and clarity you’d hear with other leading brands like Sony and Bose with their respective noise cancelling headphones. The bass was also a little weak. We wish there was a companion app that would allow us to adjust the equaliser a little and tweak some settings. 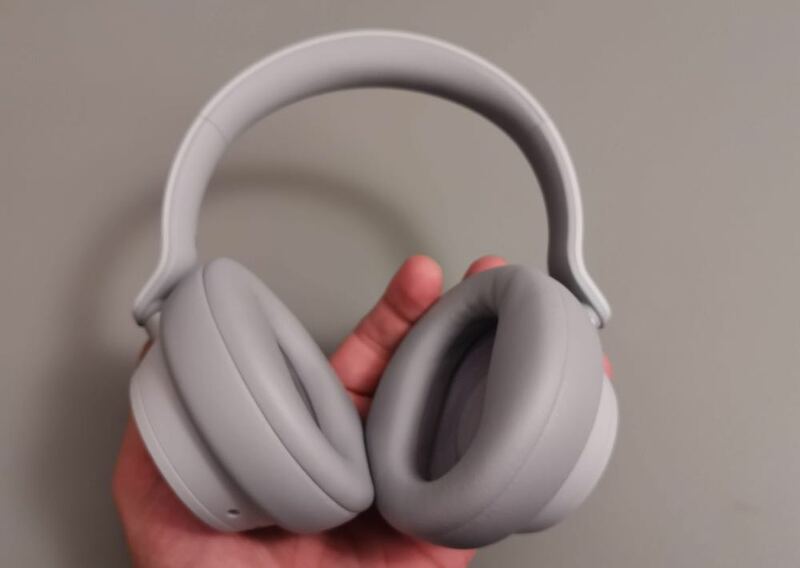 But don’t get me wrong, for Microsoft’s first attempt at noise cancelling headphones they are super impressive and we enjoyed listening to them immensely. One thing that did come in loud and clear were phone calls when paired to our smartphone thanks to the onboard microphones – there’s eight of them, in fact. On the battery side, Microsoft says you can get 15 hours of listening on a full charge. For our review, that playback time fell short. The most we could squeeze out was a little over 11 hours. That’s going to be an issue on a long flight. It was for us. It died two and half hours before we touched down in Dubai on a 14-hour flight from Sydney. We were listening to music, podcasts, an audiobook, the inflight entertainment system and silence when we wanted to catch some sleep. But with the USB-C port to recharge them you can get a full battery again in a couple of hours. We could still hear the headphones through the cable – we just could have the active noise cancellation on. They are also supposed to pause when you take them off – that didn’t always work for us. They either kept on playing or they paused about 20 seconds after we took them off our head. 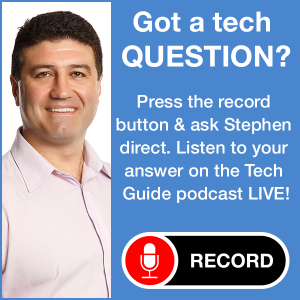 The Microsoft Surface headphones sound quality, build quality, comfort and controls are all impressive. And Microsoft is asking $499.95 for the Surface headphones. 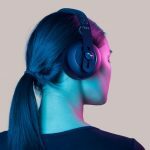 When the Sony and Bose noise cancelling headphones are cheaper, we suspect customers will pass on Microsoft and invest a more familiar audio brand. If these were more aggressively priced at $399 or even $349 they would certainly be a more tempting proposition.